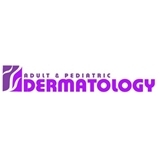 Adult and Pediatric Dermatology (Greenwood Village) - Book Appointment Online! She was vet comprehensive in addressing all of my concerns and helped me to prioritixmy care. As good as it gets.